MTBC Mission Statement: The Montana Brittany Club strives to protect and advance the interests of the Brittany. Club members espouse and encourage the dual concept (field and show), good sportsmanship, fellowship, diversity and cooperation among Brittany enthusiasts. 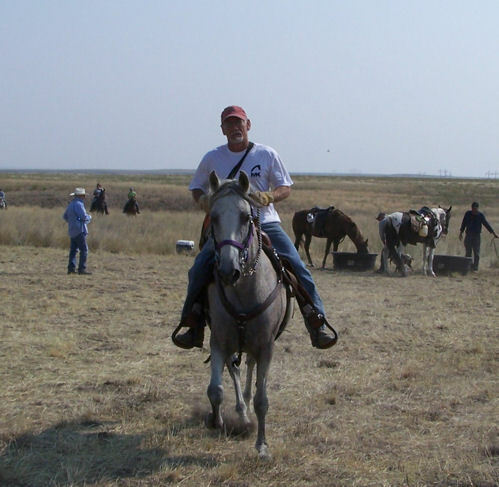 The club promotes education, responsible ownership, ethical breeding (including good hunting instincts and structure), quality training, and encourages youth and beginners. New members are always welcome! Come on out and have a good time with your dog! Your input and participation will be greatly appreciated! Please feel free to browse through our pages for information on our breed, club, members, events, and more. Feel free to visit the Montana Brittany Club page on Facebook. 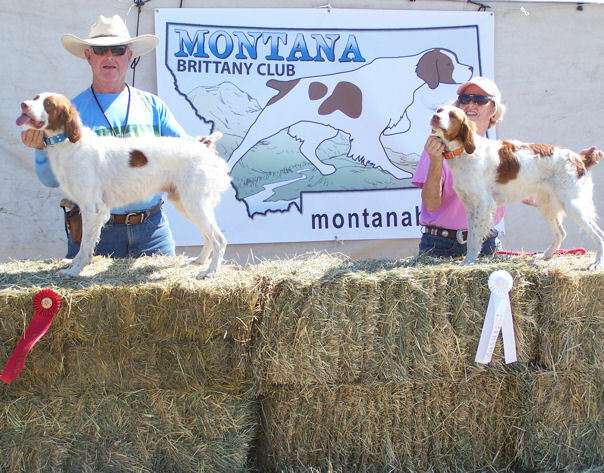 Feel free to visit our Montana Brittany Club Facebook Page. 1. 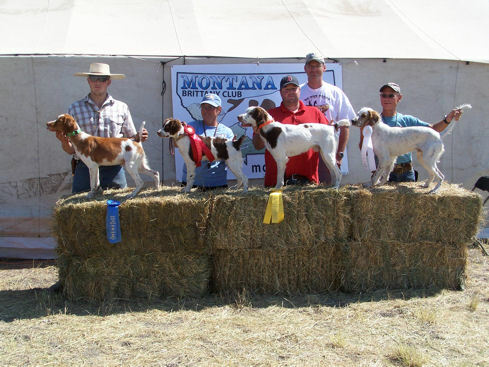 Hunt Test April 13-14, 2019: Double/Double hunt test with the North Dakota Pointing Dog Club near Billings, MT. [4 runs in one weekend!] Running Order Premium: MS Word Version - PDF Version - Running Order. North Dakota PDC Premium. Contact: Todd Breitenfeldt 406-498-5236. 3. Snake Avoidance Training: July 13, 2019. 9-noon. Belgrade, MT. Contact: Todd Breitenfeldt 406-498-5236. 4. 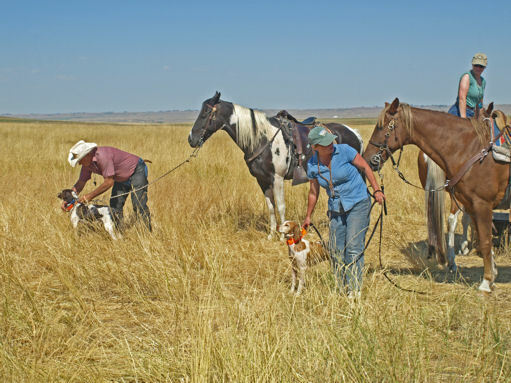 Field Trail: August 23-25, Elk Creek Trial Grounds, near Winnett, MT (north of Billings). [pending ABC & AKC approval]. Contact Jan Breitenfeldt: 406-498-3459. Many photos of the event on our Facebook page. Members, feel free to send your dog's accomplishments and hunting photos for us to post. Winners Open Puppy, MTBC Past Fall Field Trial. Two contestants ready for the break away at a Montana Brittany Club fall field trial! Montana Brittany Club T-shirts and hats for sale with the MTBC logo (see above). Email: Tana Kradolfer for more info. This is an MTBC fund raiser. Top 10 Reasons To Join The MTBC! 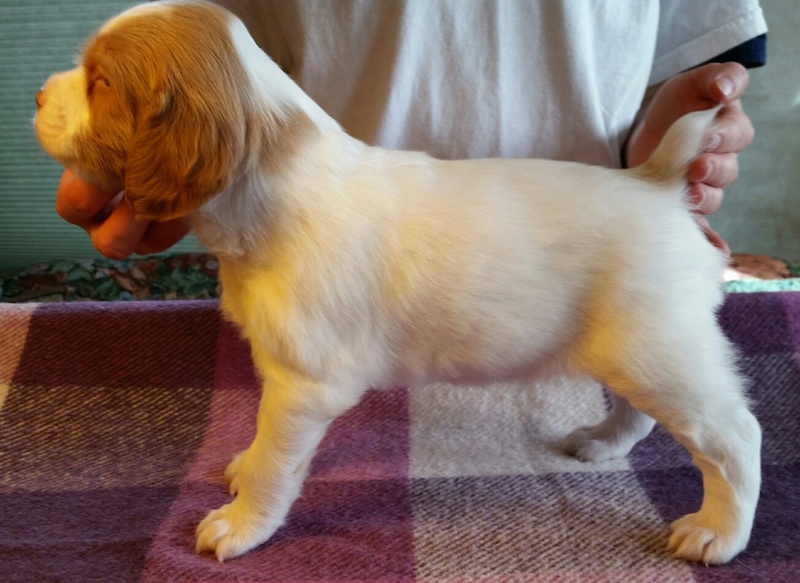 A 6 week old Brittany puppy. Montana War On Weeds Web Site - Help Control Noxious Weeds! Contact Site Supervisor MTBC Logo by: Jessica Carlson.